If you are a vSphere Admin who wants to further understand VMware networking or wants to learn more about the advanced features built into vSphere, then this course if for you! Taught by vExpert and tech author, Jason Nash, this course is a deep-dive into vSphere administration & troubleshooting. Learn advanced topics, like vSwitch components, port mirroring, load based teaming, vSphere security considerations and more. One area seeing the most upheaval is networking. When virtualization first became mainstream it did not impact networking to any great extent. But those days are gone. Today organizations want to have multiple active data centers with tier 1 applications running virtually while offering exceptional performance, security, and fault monitoring. This has put a strain on traditional virtual networking concepts. VMware has stepped up and added many new technologies and features to vSphere networking to help meet these new challenges head on. Offerings such as thevSphere Distributed Switch (vDS) have made management, monitoring, security, and performance tiering integral features and components of the hypervisor virtual switch. One intriguing feature in the vDS is Network I/O Control (NIOC). NIOC takes the concept of resource pools and shares, things that most VMware administrators are familiar with for CPU and memory, and appliesthem to networking resources as well. Using NIOC the administrator can allocate and protect applications from other “chatty” virtual machines and offer guarantees of performance. Until now this really hasn’t been possible without dedicating physical network interfaces to specific applications, which increases management overhead and costs for deployment. In our vSphere Advanced Networking course we have an entire lesson and video to help you understand the features, functions, and deployment of the vDS and NIOC. As always, we welcome any questions, comments, or general thoughts you may have as you work through the course on your way to mastering vSphere Advanced Networking. 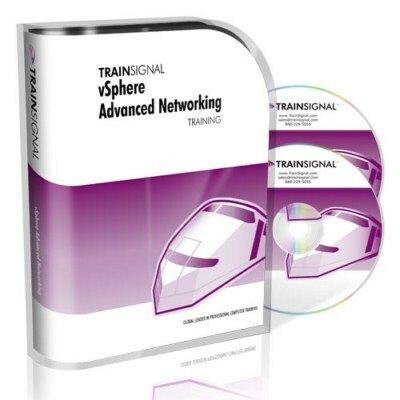 Over 8 Hours (8 Hours, 4 Minutes, 21 Seconds) of vSphere Advanced Networking Training Videos Jam Packed on 2 DVDs!